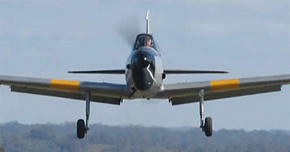 Airborne Aviation is Australias only Cessna Pilot Centre. We provide professional pilot training, aircraft hire, joy flights, charter, and more... Were always happy to help, so if you have any questions don't hesitate to contact us! There are many reasons for choosing Airborne Aviation. The most important quality of Airborne Aviation is its people and their reputation for treating every customer like a special guest. Customer service is not an added value here, it is paramount. Peter Forbes is the Chief Flying Instructor and owner. Oceana Day Spa is a multi award winning five star day spa located in Macarthur area where you can find time to relax in absolute peace and bliss while being treated to a large range of Elemis Spa Therapy treatments to suit your own personal needs. Enjoy being spoiled in one of our eight private treatment rooms, or bring a friend or partner, where you will both be pampered in our couple’s room. Oceana uses British spa brand Elemis which has grown into the most successful professional spa and anti-ageing skin care range available in the world today. Addressing specific skin and body conditions, the unique and potent formulations dynamically treat the skin with powerful results. Treat your loved ones to Campbelltown’s most popular gift, Oceana Day Spa Vouchers are the perfect gift to give to someone special. Choose from a variety of treatments and packages, our beautifully presented gift vouchers can be purchased at the spa reception, over the phone, at the campbelltown catholic club reception or you can visit our online store and buy online straight away. In addition to providing sensational spa treatments, Oceana provides regular beauty services such as manicures, pedicures, make-up applications, waxing and skin care solutions to skin concerns or conditions you may have. Starting off with a skin analysis you will receive advice on products and treatments including facials, microdermabrasion, peels, oxygen and laser therapy to best suit your concerns and to ensure you of the results you desire. Laser Hair removal is one of our most popular services at Oceana Day Spa, offering VPL the latest advance in pioneering Variable Pulse light technology. This quick, effective and safe treatment offers long-lasting hair removal. Christmas is coming. So now's a great time to start shopping. Get into Kmart early and avoid the crowds. Plus, lay-by those larger purchases and stock up on Christmas essentials now - all at irresistibly low prices. With a little planning you can ease into Christmas. Campbelltown Arts Centre is the South West Sydney region’s major cultural venue and cultural services provider. The Centre services an audience market and community that spans Campbelltown, Camden and Wollondilly Local Government Areas. Campbelltown Arts Centre (CAC) was opened in June 2005 following a $15M capital development program undertaken by CCC in partnership with the NSW State Government to redevelop the City Bicentennial Art Gallery (established in 1988) into a contemporary multidisciplinary arts centre. Campbelltown Arts Centre consists of exhibition spaces, workshop and studio spaces, a 180-seat performance studio, residency apartment, Sculpture Garden, Japanese Garden, amphitheatre and café. 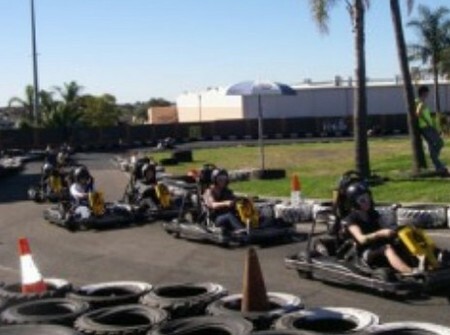 FastLane Karting has been operating for over a decade. In 2007 the track received new management and continues to see exciting changes. A new go kart timing system has been implemented to provide customers with detailed race data, and a well organised grand-prix race format. With ongoing support from Macarthur and the Greater Sydney Region, we look forward to bringing new improvements to the FastLane karts and track. We are Sydney's best Laser Tag Adventure Game, located just off Campbelltown Road in Leumeah. 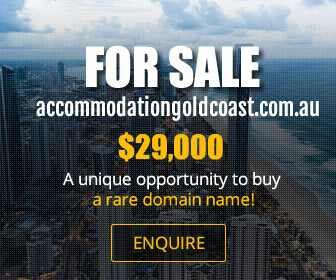 With very easy access from the M5, we are conveniently close to a large part of southwest and southern Sydney. Your futuristic adventure starts here. 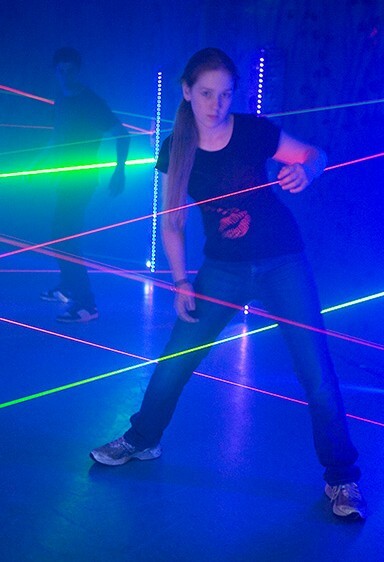 Buckle up your laser game pack and commence battle in our unique multi-level maze with its extensive network of towers and connecting bridges. At the end of each mission, each player receives an individual scorecard showing how they went in the game, detailed down to exactly who-zapped-who and where! There is always something happening at The Kings of Clubs! Our first class facilities, friendly and helpful staff and exciting promotional offers will ensure your visit will be memorable and rewarding. 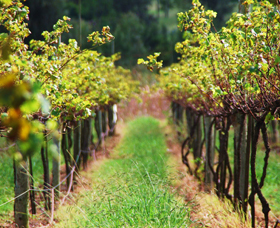 Fussy Grape is produced from hand picked grapes ensuring only the premium is harvested. Maximum Skating is Sydney's premier rollerskating and rollersports destination. It is Australia's newest internationally sized rollersports venue and can cater for all ages and abilities. 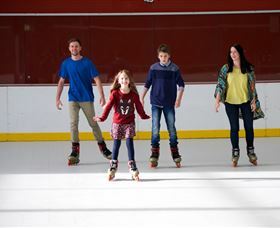 Maximum Skating offers a wide variety of interactive activities, including public sessions, rollerskating classes and organised events. Birthday party packages are also available at Maximum Skating. Storm the airfield, slog it out in the trenches, rescue hostages, defend your base and protect the village! There are over 14 themed battlefields, easy access (including bus parking), free picnic areas, covered seating for over 200 people and located on 120 acres of beautiful bushland in Camden, Ultimate Paintball is Sydney's Largest Paintball Park. With a focus on great customer service on and off the field, see why thousands of customers have enjoyed The Ultimate Paintball Experience. Macarthur Audiology and Hearing Services helps children and adults of all ages with their hearing problems. They specialise in varying degrees of care; from partial deafness to complete hearing loss. Contact them today to see how they can help you.